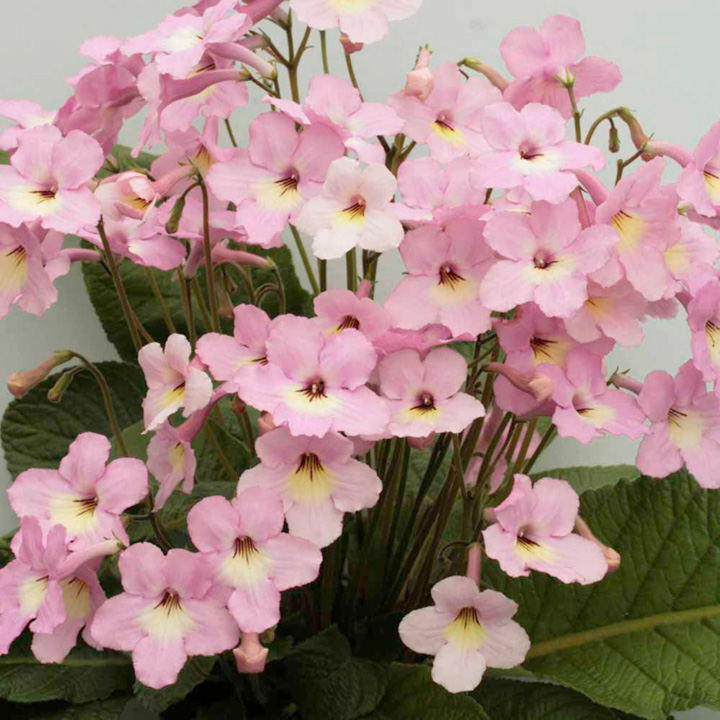 The flowers are pale pink when they first open, darkening to a mid pink after a couple of days. The throat is a strong yellow which extends over the lower lobes, overlaid with 7 short purple lines. The habit is very similar to its sister plant 'Hope'. Flower size 4.8cm. Flowers March-November. Height 11-20cm.